Building a house on the North Shore? Looking to renovate your home? Cain Build Ltd are expert project home builders. Check out their 7 easy step building process to ensure a smooth transparent running project. Our process ensures that all your questions are answered and topics such as the cost of building a new home to planning permissions and consent for a new home renovation are answered to give you peace of mind. HOW IS CAIN BUILT ANY DIFFERENT TO ANY OTHER CONSTRUCTION COMPANY? At Cain Built we realize that every project is different and every client has a different set of needs. One of the most daunting aspects of any construction project is knowing that the team you have chosen can deliver on quality and deadlines. That’s why we’ve put together these 7 easy steps to building success and to ensure a smooth transparent running project for you from the very start, right through to the completion of building your new house or home renovation on the North Shore. Cain Built Ltd will sit down with you and discuss your home building requirements. We will also answer all questions you may have, from the cost of building a new home right through to planning permissions and consents for your home extension. This is the first opportunity for you to tell us about your project. Once we have a brief idea of what you’re looking to do, we’ll email you a questionnaire asking you some detailed questions so we can get a better understanding of what you want to achieve with your build. From here we can book you in for your free one-hour consultation. The information gathered in the questionnaire allows me to fully prepare myself in order to make the most of the time spent during the visit on site. TIME FRAMES: When to start and how long it will take, as well as any possible hold ups and how we can avoid them. COUNCIL:What consents you might need, how to apply to get them and how the council process works. PRICING:What sort of costs can you expect and what type of contract will best suit you and your project. PROJECT MANAGEMENT: Who is responsible for doing what, when, where and why. MATERIALS: Understanding claddings, fittings and fixtures, paint, kitchen and bathroom designers, and the many choices you’ll need to make as your project becomes a reality. We can use existing approved plans you already have to put together a brief costing of your job, or if you don’t currently have plans drawn up, we can suggest a reputable architect to help you transfer your thoughts and dreams onto paper. They will then take these through to the council approval stage for you. If you’re unsure of what to do at any stage don’t stress, we’ll be there to walk you through the whole process in order to make everything easier for you. During the course of your build there will be regular time-tabling, site meetings and budget reviews. 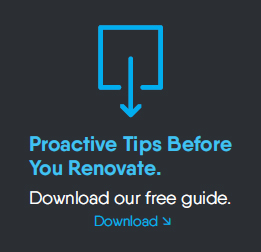 In doing so, this gives you the opportunity to view progress and address any queries you have with regards to design and functionality, that may arise as you start to see your dream renovation/home brought to life. This constant contact helps keep everyone on the same page which in turn allows you to make confident and informed decisions and keeps the job running smoothly – all helping to deliver the best quality result for you. We offer either fixed price or cost plus margin, with each having their own advantages . Below is a breakdown of what each entails so you can choose which works best for you. Gives you a fixed sum of what the build will cost, based on what you decide you want prior to the signing of the contract.The main benefit of going for a fixed price contract is that the agreed upon cost of the build is exactly that – fixed. There’s still the chance to make changes during the build, but the down side is that with a fixed price contract, each time you deviate from the agreed plan, additional paper work is required, meaning more time and money is spent.If you know exactly what you want prior to the beginning of the build, this is a good option for you, as you won’t have to worry about budget blow outs. There’s no cushion added as you will often find with fixed price. With the estimated cost break down, you pay for exactly what is needed and nothing more. However, there’s no contingency figure added as there is in a fixed price, to cover any unforeseen costs that may arise during the build. Charge up contracts offer more transparency with your invoices – a copy of every receipt for every dollar spent, i.e. for all materials, sub-contractors and labour completed to date. You’re always able to review and query invoices before payments are made for your peace of mind. Of course any changes will be discussed prior so you have ample time and are aware of the best options for the proposed changes, and any potential impact they may have on the overall budget for the job. Once we’ve agreed upon either fixed price or cost plus margin, we’ll present you with a full building contract supplied by the Certified Builders Association, who produce the most up to date contracts in the industry. Allowing you time to check it over with your solicitor prior to signing, this will outline our responsibility to you, the extent of work, insurances, time period and payment schedule. We’ll also provide you with a disclosure statement outlining which sub-contractors will be working on your build, a written warranty on the building products being used and details of our insurance. A timeline for your project and the completion date will also be set at this point. Once the final council inspection has been obtained, we’ll go through a 287-point checklist to ensure every box has been ticked. Once you’re fully satisfied with the results, we’ll provide you with the Ten Year Halo Guarantee, the Code of Compliance Certification plus information and warranties relating to your job. Last but not least, for all renovations and new builds over $50,000, we’ll organise for your house to be professionally cleaned for free, so you can put your feet up and start enjoying your new space sooner. WHY CHOOSE CAIN BUILT LTD? Cain Built Ltd have been great, they always deliver on time frames and at the highest level of workmanship. Quality workmanship delivered by our project home builders on time and on budget. Most building companies in the industry don’t provide you with their own guarantee. At Cain Built Ltd. we go above and beyond by providing the Ten-Year Halo Builders’ Guarantee.